n-Track Studio is an audio &amp; MIDI multitrack recorder that turns your computer into a full-fledged recording studio. 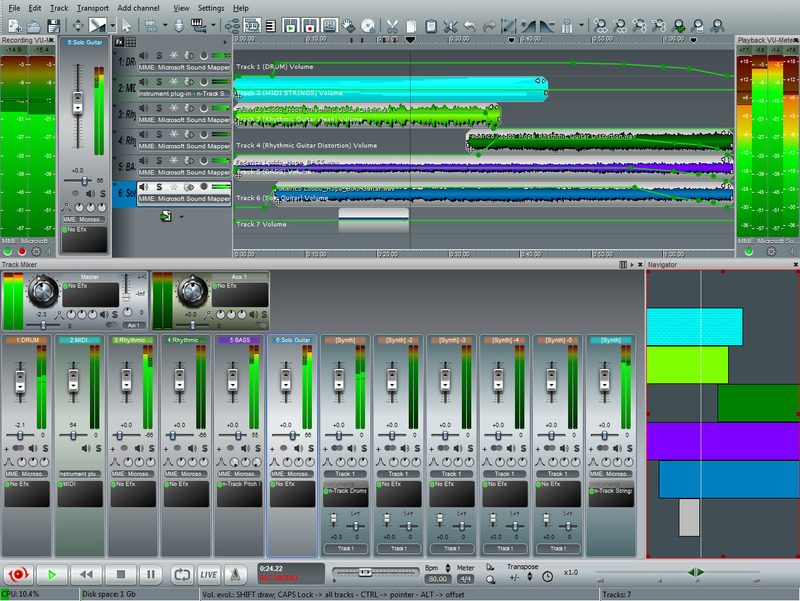 You can record and playback a virtually unlimited number of audio and MIDI tracks. The program supports simultaneous recording from multiple 16 and 24 bit soundcards, and real-time audio effects can be applied non-destructively to each track. Built-in effects include Reverb, Multiband Compression, Chorus, Delay, Pitch Shift, Graphic and Parametric EQ &amp; spectrum analyzer. All the audio tracks are saved as standard wave files and mixed &quot;on the fly&quot; during playback. Statement: First, please download the orginal installation package by clicking the download link. Of course you may also download it from the publisher's website. Using n-Track Studio crack, key, patch, serial number, registration code, keygen is illegal. The download file hosted at publisher website. We do not provide any download link points to Rapidshare, Hotfile, Depositfiles, Mediafire, Filefactory, etc. or obtained from file sharing programs such as Limewire, Kazaa, Imesh, Ares, BearShare, BitTorrent, WinMX etc. Software piracy is theft. If you like n-Track Studio please buy it.